In honor of World Water Day, the Green Vigil Foundation has been actively leading community-based water monitoring programs in India. 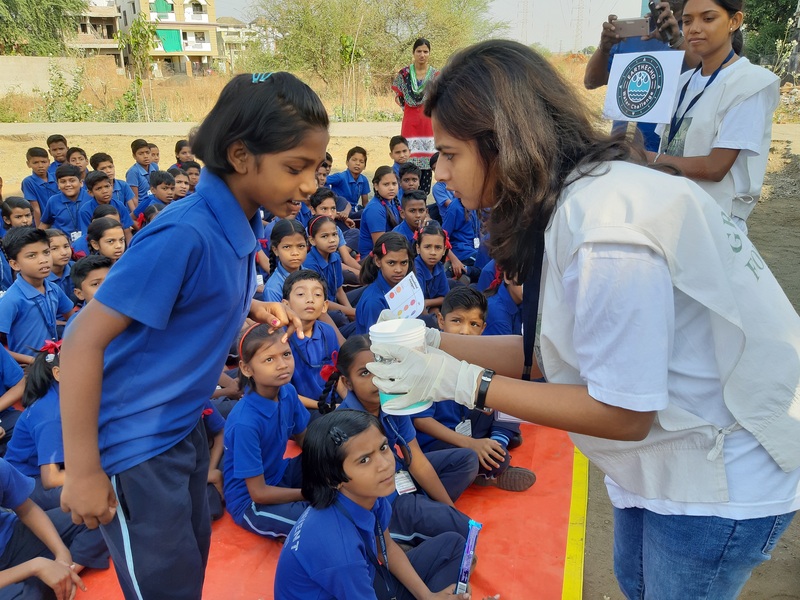 In advance of March 22, the Green Vigil Foundation in association with EarthEcho International conducted a Water Monitoring Program at New Diamond English School and Joy Convent School, Wadi, Nagpur. Students were educated on the basic parameters of water monitoring – temperature, pH, turbidity and dissolved oxygen, analysis procedure, required parameter standards in water bodies, deteriorated figures and impact on water bodies and ecosystem. Students were also informed on the present status of water resources across the globe, deteriorating condition of water bodies, water crisis and need for conservation. In addition, the Green Vigil Foundation organized an Eco-friendly Holi Campaign at Shankarnagar square, Nagpur. Holi is a revered and celebrated festival of India, also referred to as the festival of colours. Traditionally, natural plant-derived dry colours such as turmeric, neem, dhak, and kumkum were used to play Holi, but today commercial toxic chemical colours and water is being used. Water balloons, water guns are used to celebrate this festival leading to loss of gallons of water. India is a country where water scarcity is prevalent due to lack of access of clean and safe drinking water and inequitable distribution of water resources. Nagpur and parts of Maharashtra (State) are badly hit by drought each year. Thus, we undertake programs educating citizens to engage them to adopt water sustainability practices to ensure water availability and accessibility yearlong. In this campaign we appealed citizens to adopt Dry Holi or Tilak Holi - restricting wastage of water, using natural colours; be it Gulal or other herbal colours, avoiding water balloons, sparing animals from the colour hazard and stopping burning of plastics and other material during Holika Dehan, emanating harmful gases in the air. Eco-friendly Holi is an initiative focused on water sustainability. We educate citizens to conserve water year-round to fight water scarcity in Nagpur and Maharashtra. We focus on achieving Sustainable Development Goal 2030 for clean water and sanitation by implementing water sustainability practices and preventing polluting of our water resources. 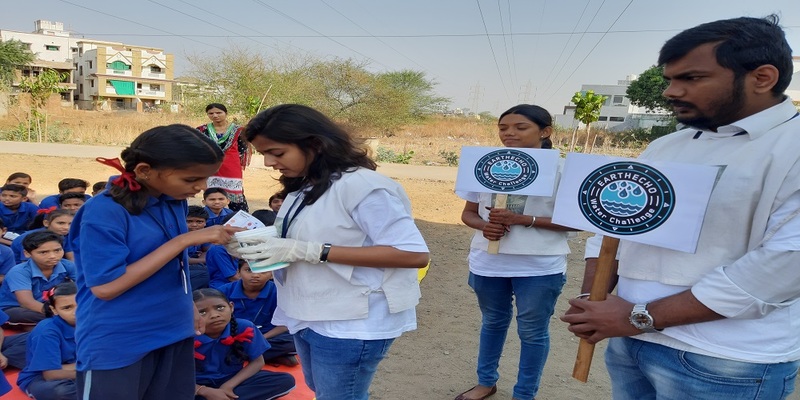 On March 22, Green Vigil Foundation, Nagpur commemorated World Water Day (WWD) 2019, by conducting a Citizen Outreach Campaign at Futala Lake, Nagpur on this year’s theme - Water for All, leaving no one behind. We also demonstrated basic parameters to determine water quality of the water body namely pH, temperature, turbidity and dissolved oxygen. Green Vigil members interacted with citizens to discuss the human right of clean and safe water for drinking, sanitation, hygiene and other purposes, without any discrimination. With colourful placards and posters we educated community members on the necessity of and techniques for conserving water by adopting water sustainability practices and reducing water footprints.